A lot of people have never had the business phenomenon of bootstrapping. Bootstrapping is the process of growing your e-commerce business using profits that your business has generated. Many family and individual businesses do this. This business model is suitable for small businesses. When a business becomes large it becomes difficult to bootstrap. The idea of bootstrapping means that the e-commerce business owner has to produce a profit all the time. With a small e-commerce operation, this is easy to do. But as the e-commerce operation expands the costs of running a business becomes too high. This makes the profits too small to be used to bootstrap a business. Most business owners usually seek to grow their e-commerce business until they reach an exit. An exit is a process whereby the e-commerce business is acquired or goes public. In this transition, the e-commerce business is no longer the sole responsibility of the founder. Bootstrapping a business till it exits is typically rare. This is due to the large amounts of competition that exists in the business world. Businesses that receive funds from angel investors and venture capitalists typically grow faster and therefore out-compete bootstrapped businesses. 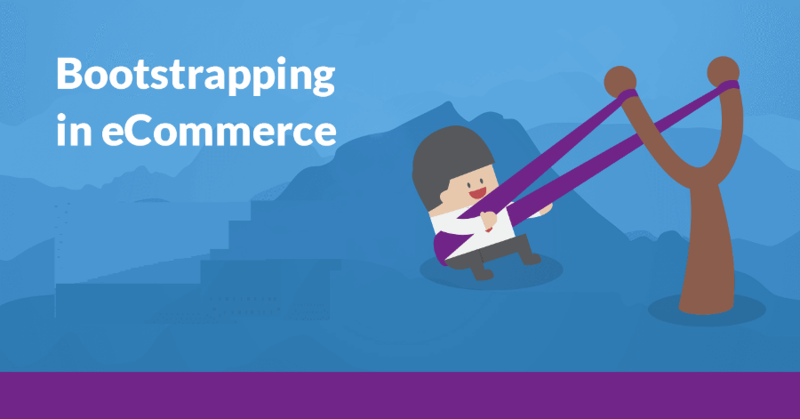 There are a lot of disadvantages involved in bootstrapping an e-commerce business. The most obvious disadvantage being the lack of adequate funds to expand. Depending on previous profits will always mean that they are no adequate funds to expand your operations. This is not typical of businesses which receive financial and mentorship aid from angel investors and venture capitalist. A lot of analysts say that with venture capital comes expertise and knowledge. Businesses greatly benefit from venture capitalists in terms of knowledge.